More than 40 years on, these classic rockers keep rolling. To say the Bay Area music scene had a lasting influence on Rock and Roll would be an understatement. At the tail end of that period came the Doobie Brothers, named after their left-handed cigarette of choice. The Doobie’s sound was unique, contrasting Tom Johnston’s chunky guitar rhythms against Pat Simmons’ more intricate finger picking style and incorporating three-part (or more) harmonies. The formula worked, as more than 40 years later, we are still talking about them. 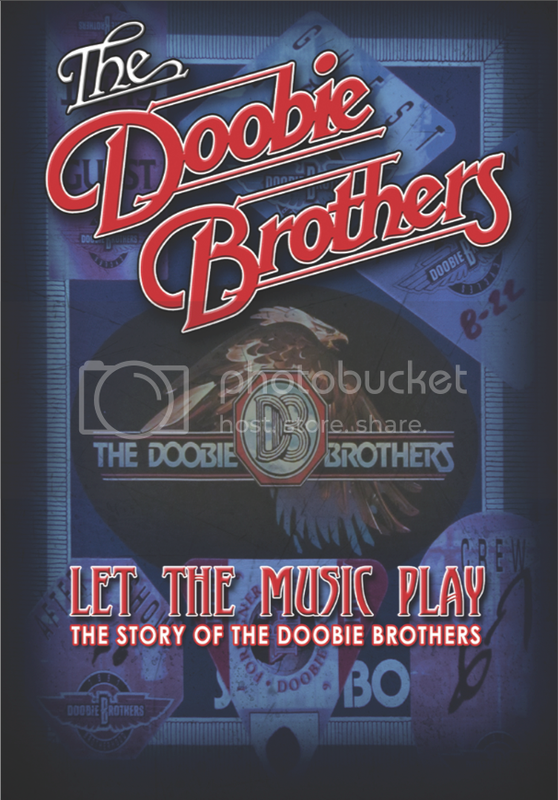 The DVD, Let The Music Play – The Story Of The Doobie Brothers, does justice to the legacy of this classic band. The story starts at the beginning, with Johnston going to see a band play that featured Simmons. Impressed with his playing, Johnston soon formed a new band with Simmons and they cut their teeth playing shows at such places as the Chateau Liberte in San Jose. Soon they had a record deal with Warner Brothers and Ted Templeman produced their debut LP. The album didn’t do much, as the label saw them as a mellow band, which was in contrast to their energetic live shows. It was on the band’s second record where everything fell into place. Toulouse Street added a second drummer in Michael Hossack and a new bassist in Tiran Porter, both of who helped change the band’s sound. More importantly, the album had three big hits in “Listen To The Music,” “Rockin’ Down The Highway” and “Jesus Is Just Alright.” While the band’s first album sold 10,000 copies, Toulouse Street sold 2.3 million. The band quickly went from touring in a Winnebago to leasing their own jet and playing 200 shows a year to continuously larger audiences. Along the way, the hits kept coming and the band added some new members, including Jeff “Skunk” Baxter, formerly of Steely Dan. Johnston didn’t find the grueling road schedule and party atmosphere conducive to writing songs however and the lifestyle began to get to him. By the time the band was touring for 1975’s Stampede, Johnston had developed a bleeding ulcer and bowed out from the group. While Simmons was handling the vocals live, the band searched for a backup singer to help out. They found one in yet another former Steely Dan member, Michael McDonald. Once they heard him sing, however, he quickly became the band’s lead singer. The fact he also wrote songs, enabled the second version of the Doobie Brothers to have success after Johnston’s departure. The band continued on until the early 1980s before breaking up. They reformed at the end of the decade and have been releasing albums and touring ever since. The documentary features interviews with Templeman, Johnston, Simmons, Porter, McDonald and Baxter, among others. Also included are nine bonus live cuts from various points in the band’s career. Sound options include Dolby Digital Stereo, Dolby Surround 5.1 and DTS Digital Surround Sound. Few groups survive lineup changes as drastic as the Doobie Brothers. Bringing in McDonald changed the sound of the band, but it also gave them new life. They’ve since returned to their original sound and incarnation with Johnston fronting the band – the “real” Doobie Brothers as some will say. Regardless, their musical legacy lives on, as shown in Let The Music Play – The Story Of The Doobie Brothers.